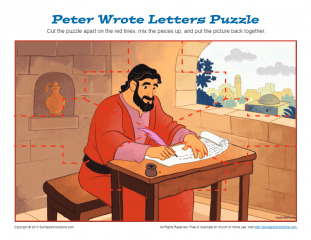 This eight-piece jigsaw puzzle shows Peter writing a letter to fellow believers. As your children work the puzzle, you can talk to them about the letters Peter wrote and how important they are in the Bible. This is a great Bible activity!